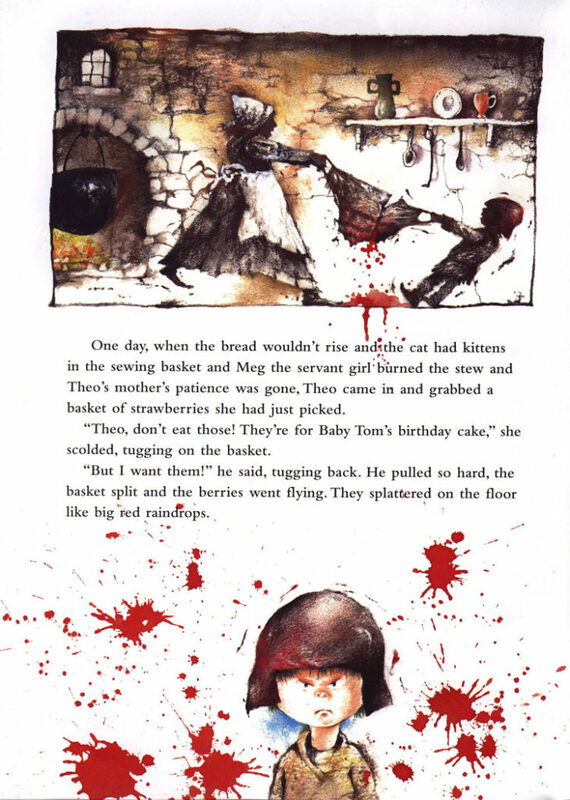 Humble Pie, illustrated by Caldecott winner Stephen Gammell, is a picture book for naughty children and pie lovers of all ages! Little Theo, hero of this rollicking picture book, is as spoiled as a rotten old apple. He’s selfish. Thoughtless. Inconsiderate. Grabby. Unkind. Bumptious, rude and lazy. Obnoxious. Obstreperous. High-handed. And mouthy. His wise grandmother, however, has an idea how to curb Theo’s dreadful behavior. She makes a giant pie that Theo finds simply irresistible. 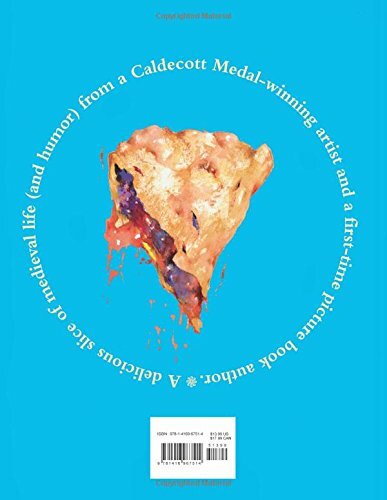 He helps himself to a bite of filling, and then another bite, and then…before he even knows what’s happened…Theo is a captive inside the pie. 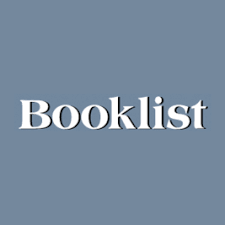 "A dynamite union of a debut author with a veteran illustrator teaches a wry lesson ... Gammell's unmistakable illustrations, full of mischief and all of his splattery details, hold just the right amount of waggish exaggeration and expression, and suit the antic wit of the telling perfectly. Yum. " 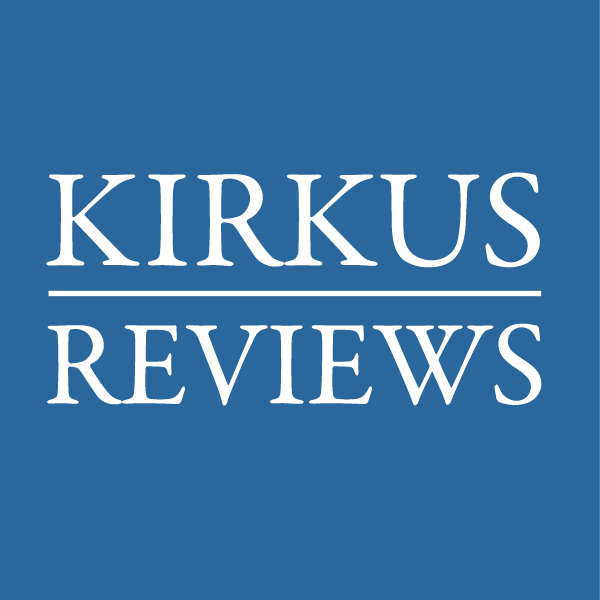 "... an impish sense of fun that will have young readers happily following along and cheering for Theo's comeuppance. " His outrage has him bouncing and jouncing in his pastry prison throughout a magical medieval countryside – and toward a waiting oven where he may get his just desserts. 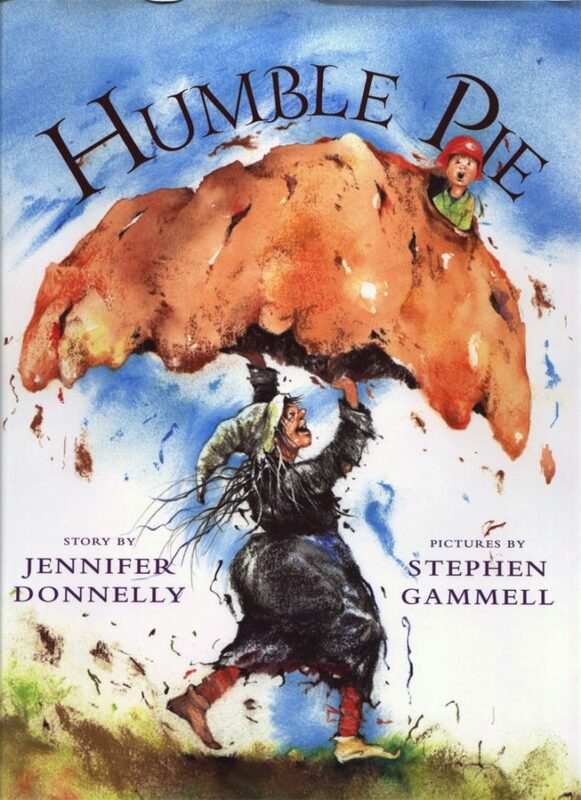 Humble Pie is illustrated by Stephen Gammell, who was awarded the Caldecott Medal for Song and Dance Man, and two Caldecott Honor Citations for The Relatives Came and Where the Buffaloes Begin. Humble Pie is two of my favorite things – pie and fairy tales – mixed up together. I have always loved pie. It is supposed to be a wholesome and comforting and aboveboard sort of dessert, but I have always found it a little bit mysterious. A little bit sinister. What, precisely, is under that crust? Lurking beneath the lattice? All red and sticky? The cook said it was cherries, but I have my doubts. I have also always loved fairy tales. Real ones with no sugar-coating. The more evil queens and wolves and witches, the better. Some people aren’t for the old blood-and-thunder stories. They think they’re too scary for kids. But kids instinctively know that life is sometimes scary. I had my share of childhood fears, but reading classic fairy tales, such as those collected by the Grimm Brothers, helped reassure me that I could overcome them. Jack showed that giant who was boss, didn’t he? And Gretel outfoxed that old witch. They were only kids, but they were smart and strong, and if they could be, I could be, too. I think that far from being disturbed by fairy tales, children are comforted by these ancient stories where good people triumph and bad ones are punished. 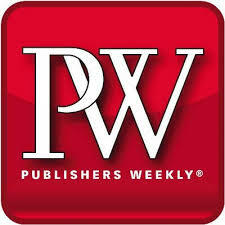 Buy Humble Pie from Amazon, Barnes and Noble, or your local independent bookseller.